I love drinking natural fruit juices whenever I went to restaurants and any dining place. I also want to to taste each restaurant's version of my favorite fruit shakes. I love natural fruit shakes because you can taste the real flavors of the fruits and it's very healthy too! My Fruit Shakes entry is from the combo meal of Outback Restaurant where we dined in one of my last meetings with my boss, days before I left. I just described it by myself lol! From the pic above you'll have an idea how yummy it is! 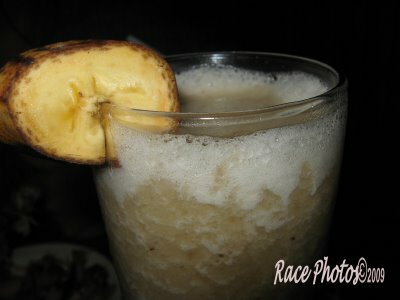 This looks like banana juice, this is healthy beverage!